Hello! It's time for another Mojo Monday sketch (#281)! Today's fabulous sketch is brought to us by Mary Fish. I used the sketch to create an 8.5 x 11 scrapbook layout. This Irish proverb from Beautiful You was perfect to go with my photo of Sabrina, taken in the dressing room right before she went on stage for the Nutcracker ballet performance this past December. Accessories: Standard Circle Nestabilities - SM & LG (Spellbinders), Wood veneer heart (Studio Calico), Arrow wood chip (Freckled Fawn), Washi tape (Teresa Collins), Hemp cord, Foam tape, Thread, Sewing machine. This is a wonderful layout! 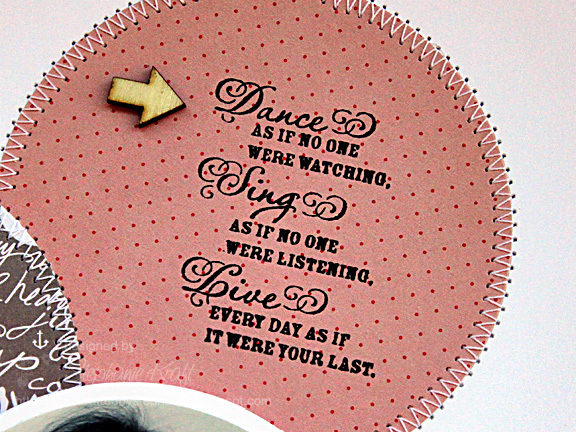 Love the stitched down circles, the little wood arrow and fab photo of Sabrina. Great ribbon too! What a fun use of the sketch, Stephanie! Love the way you integrated the sentiment with the arrow. Beautiful layout Stephanie! Sabrina looks so happy and your stitching looks so fancy! Thanks for the inspiration! What a gorgeous layout, Stephanie!! Loving all the white space. What a special page highlighting this gorgeous photo of your daughter! 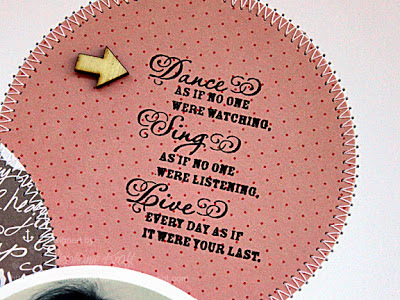 That sentiment is perfect for the occasion! 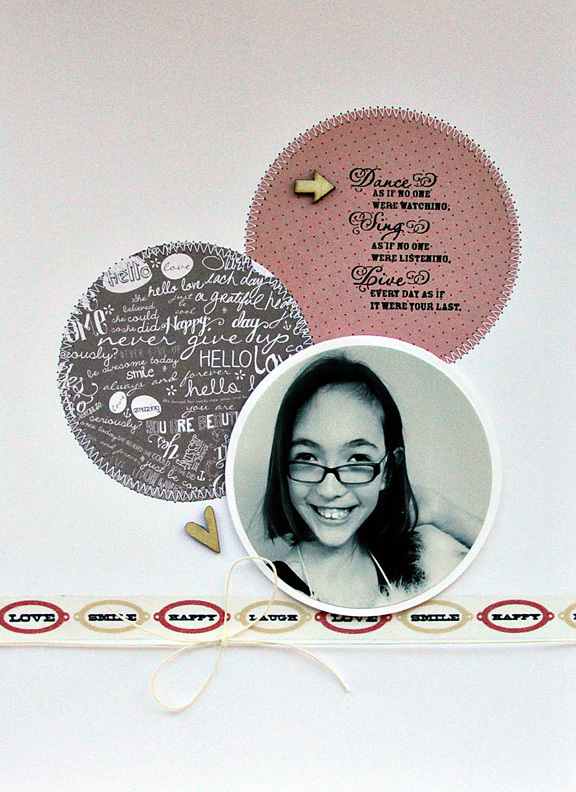 What a lovely scrapbook page, Stephanie! You've captured such a wonderful memory in this project, and I'm sure that your daughter will appreciate the fact that you created this in remembrance of her performance. Thanks for sharing!